Electric infrared heaters use a heating element, commonly a filament of coiled tungsten, while radiant gas heaters may use natural gas or propane to create a source of heat. As infrared heat waves are produced, the reflective panel is used to direct the heat, allowing for specific areas to receive concentrated portions of heat if desired. Some heaters use fans to redistribute air molecules around the space and to spread the heated air faster, but these are not necessary for efficient infrared heating. Radiant heat is absorbed by the surface of an object itself without heating the air molecules in between. Radiant or infrared space heaters are used in large buildings or spaces where good insulation is ineffective or inefficient such as warehouses, garages or sheds. Examples of other common uses include: room or space heaters, industrial applications such as plastic welding, drying of coatings and glass processing, animal care in zoos and veterinary clinics or medical uses for helping ease arthritic pain. An advantage of radiant heaters is that they provide an immediate source of heat. The effects of infrared waves are felt almost instantly. Forced air heaters rely on air molecules to transfer heat energy, thus disturbing dust and particles in the air, but radiant heat is absorbed by objects and surfaces rather than the air, making it far more efficient. Forced air heaters may result in heating odors and disturbing noise from the fan. Infrared heaters are therefore preferable options in residential or smaller spaces. The removal of a lag time between turning on a heater and feeling its effects means that energy is being saved. Due to their high energy efficiency, radiant heaters are considered a “green” or environmentally sustainable method of heating and offer many advantages in terms of both cost-effectiveness and environmental concerns. Other advantages include the lack of burning fuels required by electric infrared heaters as there are no harmful fumes being emitted into the atmosphere, and oxygen and moisture are not removed from the air at such a high rate. As infrared heaters do not rely on air molecules to transport heat and instead actually heat the object, or the air, heating patterns are more uniform. With conventional heaters, there are often pockets of warm and cool air depending on convection currents within a space. The temperature of the heating element in a radiant heater is typically lower than other types of heaters ensuring that there is a reduced risk of fire and burning. 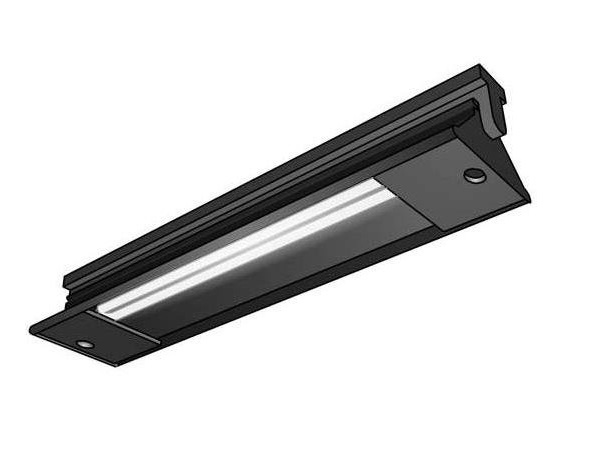 Radiant Heaters Radiant heaters use electromagnetic radiation from invisible infrared light to heat objects, materials or spaces with the help of a reflective shield. The infrared light gives off radiant heat waves which are located near the visible part of the electromagnetic spectrum.